The Portland-Milwaukie Light Rail Bridge Naming Committee will guide the naming process of the newest bridge across the Willamette River in the Portland region in more than 40 years. The nine-member committee brings together diverse leaders who reflect a shared sense of place. The committee will be chaired by Chet Orloff, a 22-year member of the Oregon Geographic Names Board and director emeritus of the Oregon Historical Society. The process to officially name the Portland-Milwaukie Light Rail Bridge will begin September 5 and last until next spring, with two phases of public input. 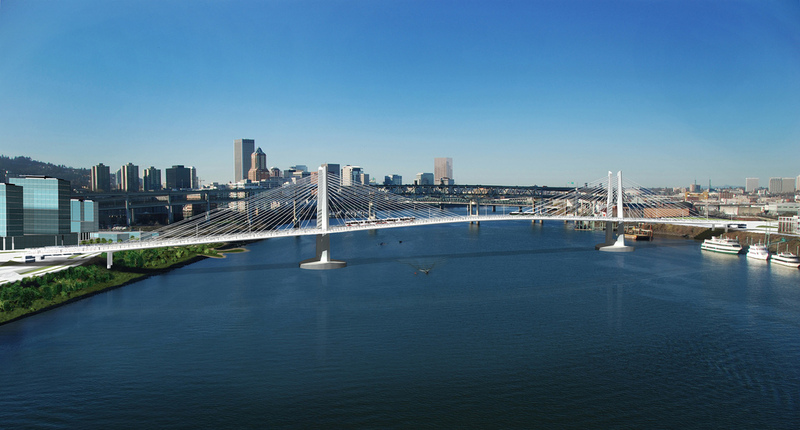 This will mark the first time in the region’s history that the public will have the opportunity to suggest names for a new bridge over the Willamette River. The bridge will be the first cable-stayed bridge for the region, extending 1,720 feet (.326 miles) over the Willamette River. The bridge alignment is SW Porter Street on the west side and SE Sherman Street on the east side. This unique bridge will carry transit, bicyclists and pedestrians but no private vehicles. Emergency vehicles will be able to access the bridge if necessary.